I like to think I have a good handle on the lives of my ancestors. My ancestors like to prove me wrong. Jennie Rector is one such ancestor. Born in Albia, Iowa in April 1872, she was the daughter of William Peter Rector and his wife Caroline Dunkin. In a 1884 school report card she was ranked second in her class, had all A's, including one in deportment. On 9 July 1894 she married William P. Cramer who tragically died the following year. Jennie remained a widow until finally marrying on Christmas Eve in 1917. She died in August 1938, age 66, and is buried in Albia, Iowa. Her husband Theodore S. Witten died 10 years later. I had a picture of her in my mind, a sad grieving widow, who finally remarried in midlife. She was unemployed in both the 1900 and 1910 census. Her father died in 1918 and I imagine that she was beginning to worry about her future. Did she marry Theodore for love, for companionship, for security, who can say. All in all, she she seems to have lived a quiet, boring, unremarkable life. Or so I thought. Here is what I know about Jennie V. Rector. As I said earlier, Jennie married William Cramer in 1894. So, who was this William. Well let me tell you about him. William was the son of George P. and Rachel Cramer, longtime residents of Albia. George was a businessman who had owned a dry goods store, started and sold a circus and finally was the proprietor of the Cramer Hotel in Albia. He had served on the city council, was at one time a constable and deputy sheriff. He and his wife had three children, Anna, who married Sheriff John Doner, Emma who married Thomas Mitchell and William. So it would seem that our Jennie had married into a prominent prosperous family and had a bright future. Jennie, however, was not the first Mrs. William P. Cramer. In 1886 William had married Clara A. Shriver. This union resulted in one child. For whatever reason, William filed for divorce from Clara in October of 1893. The filing made the local paper. In December William was again in the newspaper when he rescued a fellow ice fisherman who had fallen through the ice and whose life was in imminent danger. Was this what attracted Jennie, was William a brave single father in need of a good wife? A few weeks later, on 20 January 1894, William was once again the subject of a newspaper article. This time he and John Dull were arraigned before the Mayor and bound over to the Grand Jury, the charge; assaulting a man by the name of Donaldson. Yikes, there must be some mistake. But no, a month later the paper reports that on 16 February William assaulted a second man, 65 year old Mr. Martin. Ewww, I starting to not like this guy. The next day William and John Dull appear before the Grand Jury and were indicted. William, or his father, was able to make bail, but John Dull ended up in jail. On the 21st of February the police searched William's house. They reported finding no booze, but they did find a prostitute, she was let go without charge. William seems to have kept his name out of the paper until the 4th of July. As the story goes, the whole town was terrified of him. The Sheriff had a warrant for his arrest but was afraid someone would be killed trying to bring him in. In a previous attempt to jail him, William had asked the Sheriff to take him by the Cramer Hotel so he could drop off some things that he would not need in jail. He then pulled out a revolver and pointed it at the Sheriff and the city Marshall. William escaped out the backdoor and remained at large. Finally the Sheriff resolved to take William in, he had been spotted driving through town with a woman and two men. Oh Lordy, was the woman Jennie? The Sheriff warned all his men to arm themselves. One of these men was George Fordyce, an ex-soldier and night watchman. As William and his gang drove down the street, he stopped his horses. "Are you looking for me? ", William yelled at Fordyce. "No" responded George, "I am not looking for you". William then threatened to "thump the hell" out of Fordyce if he was. William got down out of the wagon, walked behind it and approached Fordyce. George Fordyce must have been nervous as William neared him. He pulled out his revolver and fired it at William. The paper reported that the caps did not explode. William then pointed his gun at George and shot him in the abdomen. Despite his wound, George tackled William and they fought. The Sheriff finally arrived and pulled his gun on William who thankfully surrendered. Five days later, our Jennie married William, what was she thinking? The wedding took place at the jail and within one hour of becoming Mrs. William P. Cramer, Jennie was arrested for being drunk. She may well have been drunk prior to the wedding! In any case she was brought before the judge who gave her a choice of a ten dollar fine or 30 days in jail. She choose to go to jail, apparently thinking she could share the cell with her new husband. When the judge informed that she would be in her own cell, she decided to pay the fine. Her parents must have been horrified. Luckily for William, George Fordyce survived his gunshot wound. William was charged with attempted murder. His trial, held in February of 1895, was moved from Albia to Centerville, Iowa. He was, of course, found guilty. He faced a sentence of not more than 10 years in the state penitentiary. Five months later he was dead. William's name appeared in the paper for probably the last time on 14 November 1895. The article reported his death of consumption (TB) at the home of his brother in law John Dolan. William was only 32 years old. The writer graciously admitted that while William had some serious faults, he did have a good side. He was, they said, an industrious man who paid his debts, and he had a warm side for those in distress and that he had many friends. His widow was not mentioned. Wow, what a story. It just goes to show that our ancestors are way more than just names and dates. I will never know Jennie's motivation for her marriage to bad boy William. I wonder what her life was like after his death. Did she grieve, was she ostracized for her behavior, is that why it took so long to remarry. Who knows, but I won't think of her as just a bland boring woman again. Thanks to SP Stewart and his great Iowa research for making the newspaper articles available online. During the years of the Great Migration it is estimated that about 20,000 men, women and children left England for a new home in New England. The founders of the Massachusetts Bay Colony immigrated with the idea of establishing a Godly Society, a theocracy really, free from the control of the English Anglican Church. If they were looking for religious freedom, it was only in the sense that wanted to impose their version of religion on all who came. Those who failed to live up to their standards or those whose religious view were different could be banished or sent back to whence they came. The first generation of immigrants were willing to allow religion to influence, if not control, every aspect of their lives. Anthony Colby arrived in Massachusetts with the very first wave of migrants in 1630, a member of the Winthrop Fleet. He was from the same small village in Lincolnshire as Simon Bradstreet. Thomas Dudley was from Sempringham, only a few miles away. Both these men would serve as Governor of the Colony. It seems almost certain that Anthony shared their religious beliefs. There is nothing in the records that indicate that Anthony was anything other than an upstanding Puritan. But what about the next generation, those children, born in Massachusetts. Did they willingly embrace the strict invasive religion of their parents? Did Anthony's children live Godly lives? It would seem that they did not. Here is what I know about Samuel Colby and his less than Puritanical life. Samuel's parents met and married in the very early days of the colony. He was probably born in Ipswich around 1638, and shortly thereafter moved with his family to Salisbury. His father received land in Salisbury and bought and sold it for land in Amesbury, just across the river. He was also part owner/operator of a sawmill. Anthony died in 1661 at the relatively young age of 55. Samuel was a young man of 23 at the time of his father's death. It is most likely that he still lived in the family home, as single men were not allowed to live on their own. In 1656 John Colby married Frances Hoyt and set up his own household. He was no longer under the 'government' of his father, and he could live as he choose within the religious framework of the colony. He seems to have liked to have a good time. In 1665 John was 'entertaining' his brother Samuel, sister Mary, and several neighbors including Walter Taylor, Nathaniel Barnard and an unnamed man who was the servant of Edward Cottle. Everyone must have had a bit too much to drink and the party rapidly went downhill. The party goers eventually found themselves in court explaining what had happened that night. Nathaniel Barnard was found guilty of fighting, railing and dangerous threatening. Walter Taylor, testified that he was in fear for his life that night. Mary Colby was found guilty of bold and uncivil carriage for pulling Walter Taylor's hat off and pulling him off his stool. Samuel Colby was found guilty of abetting Nathaniel Barnard. John Colby was fined for suffering such miscarriages to occur in his house and was warned not to entertain men's sons and other men's servants with out their permission. Walter Taylor was sentence for railing, excessive drinking and for striking Edward Cottle's servant. Whew, what a crazy night! This incident was the first time I can find Samuel's name in the court records, but it was the first of many. Alcohol, its production, sale and consumption were the main themes of many of his and his family members court appearances. Other than an appearance in court in 1666 for "abusing the watch", Samuel kept a low profile. One possible reason was his marriage to Elizabeth Sargent and the birth of their first child Dorothy in 1668. Elizabeth was the daughter of William Sargent and Elizabeth Perkins, also of Salisbury. I wonder why they chose the name Dorothy. Anyway, William Sargent was an upstanding man in the town, in fact he held a prominent seat "at table" in the meetinghouse during religious services. Maybe he had a steadying influence on Samuel during the duration of his life. 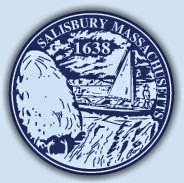 In 1659 the town of Salisbury divided a 500 acre parcel of land and gave it to "the children" of the town. Samuel was included in this division. Samuel also received some land from his father. In his deeds, of which there were many, he called himself a "planter". Samuel bought and sold land on a regular basis. In the early years of his marriage he and Elizabeth lived in Haverhill. His name is on almost twenty deeds found in the Old Norfolk County Deed books and in the Essex County Books. In 1680 "Old Norfolk County" ceased to exist and Salisbury and Amesbury were added to Essex County. In 1676 the colonist fought a short but destructive war against multiple Native American tribes, under the leadership of King Philip. The Indians came amazingly close to wiping out the Massachusetts Bay Colony. The combatants were both equally responsible for atrocious acts of war, killing men, women, children and the elderly indiscriminately. 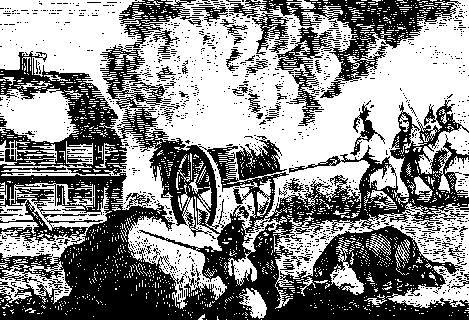 In May of 1676 a group of colonist, under the command of Captain William Turner, attacked an Indian camp killing many. The sound of gunfire alerted nearby groups of Indians who converged on the colonial militia. Now the tables were turned and many of the colonist were killed. This fight became known as the Falls Fight and the waterfall is known as Turner Falls in memory of Captain Turner who was killed in the battle. In order to entice men to fight, the colonial government promised land to all who would take up arms. After the war they dragged their feet and failed to fulfill their promise. By the 1730's many of the young men who had fought in the war were dying off. The remaining veterans pressed the government to make good and eventually they did. List of soldiers were compiled, some from memory. John Colby, Samuel's nephew, was known to be at the Falls Fight. His named appeared on the June 1736 roll of soldiers approved by the General Court. In August of 1741 Samuel Colby, son of Samuel Colby of Amesbury was granted a right in the land as his father's heir by the court. The land was in Leydon and Bernardston some 110 miles to the west of Amesbury. The war ended with the death of King Philip, and although Salisbury and Amesbury were not affected, the entire colony suffered from emotional and psychological scars for years. Samuel remained in Amesbury for the rest of his life. His brother John had died in 1674 leaving him, and his brother Isaac and Thomas to care for their widowed mother, her third husband William Whitridge also having died. In 1677 Samuel took the Oath of Allegiance, he was thirty nine, no longer young man. He began to serve on trial juries both in Salisbury and in Hampton. In 1682 he served as town constable. 1682 is also the year he bought his parents house from his mother in return for her upkeep. This house would remain in the Colby family for generations. In April of 1678 Samuel was granted, by the Quarterly Court, based on the good opinion of the selectmen and minister, the right to keep a public house of entertainment, aka an Ordinary or Inn. This license was good for one year and would allow Samuel to sell beer and cider, food for men and horses, and provide lodgings. However, these services could only be provided to strangers and travelers. He was strictly prohibited from selling wine and liquor or any sort of drink to the local townspeople. Historians have placed the Inn in what was Bartlett's Corner which is now the location of the Union Cemetery. The Inn was apparently near the meetinghouse as often the selectmen would adjourn to the Colby's during their meetings for some refreshment. In November 1678 Samuel was back in court, this time in trouble for selling wine without a license. He appealed and in 1679 when his license was renewed he was granted the right to sell wine and strong waters to strangers. Samuel routinely appeared in court to renew his license and just as often to defend himself for some license related transgression. One night in 1679 when Thomas Wells was away a party occurred at his home. His wife, oddly enough, seems to have been in bed asleep at the time. Party goers included Samuel and John Weed, John Colby, Mary Sargent, Orlando Bagley and several other men. The group made a bet with Samuel Weed, for a certain amount of liquor, to enter the bedroom and give the sleeping Mrs. Wells a kiss. John Colby lighted the way and was the witness to the deed. Their bit of fun was apparently not appreciated by either Mr. or Mrs. Wells, and they all ended up in court to explain themselves. This group were all either cousins or related to each other by marriage and most were related to Samuel. Another Colby cousin who got into more serious trouble was Elizabeth Colby. She may have been Samuel's niece, the daughter of his late brother John. She was working as a servant for Anthony Perkins in Ipswich, who was also licensed to sell liquor. Elizabeth was accused of selling liquor to an Indian, which was strictly against the law. She confessed and was fined. The following year she was accused of fornication with one Phillip Caul, she did not appear in court and was said to have left the colony. She was most likely pregnant. see this explanation of her story here. At the same court session which Elizabeth failed to show, Samuel Colby was once again called to make an appearance. His neighbor,widow Sarah Rowell, claimed that he was selling cider without a license and it was hurting her business. He countered that she was poor and unable to adequately provide lodgings and liquor to meet the travelers needs. He 'beseeched' the court to grant him the license, they declined. Sarah Morrill Rowell was also my ancestor. Unfortunately the wonderful Records and Files of the Quarterly Court transcription ends with the 1686 sessions so if Samuel or his family got up to more hijinks, I don't know about it. Samuel and his wife had five children. Two daughters died before their father in 1716 and seemingly before they married. They had two sons, one of which also died before 1716. In his later years Samuel's name appears in the records in connection with the meetinghouse. He was a tithingman for some time and he was paid to sweep the meetinghouse and to ring the bells. The tithingman was responsible for keeping churchgoers awake by poking them with a stick. He also used his tithing stick to keep unruly young boys in line. In his will, Samuel left a brick wall and arch to his grandson Icabod. Now, I don't know about you but I found this to be unusual. What the heck was this arch. The answer is found in the Amesbury town records. In 1714 the town gave Samuel permission to build an arch on a certain piece of land near his home and the highway. This arch was probably built into a small hillside to support the ceiling when the interior was hollowed out, leaving you with a sort of cave that could be used for cold storage. I suspect that he might have used it to store apples. Samuel owned a cider mill and obviously made the cider he sold. If he used large quantities of apples he might have need of a storage facility. Of course I could be completely wrong. In 1712 Samuel made a deed gift of land to his son Samuel. Four years later in March of 1716 he wrote his will. He died sometime before the second of July when his estate went to probate. He was survived by his son Samuel, daughter Dorothy and the children of Philip and of course his wife Elizabeth. Elizabeth lived quite a long while after Samuel, dying herself in 1737. The Macy-Colby home would go to his son Samuel Jr.
Cutter, William Richard. Genealogical and Personal Memoirs: Relating to the Families of Boston and Eastern Massachusetts Volume 4. Boston, MA 1908, Lewis Historical Publishing Company, pg. 2053. Merrill, Joseph. History of Amesbury including the First Seventeen Years of Salisbury, to the Separation in 1654, and Merrimac, from Its Incorporation in 1876. Haverhill: F.P. Stiles, 1880. Print. Colony, Who Served in the Indian War of 1675-1677. With Sketches of the Principal Officers, and Copies of Ancient Documents and Records Relating to the War. Boston: Printed for the Author, 1891. Print.